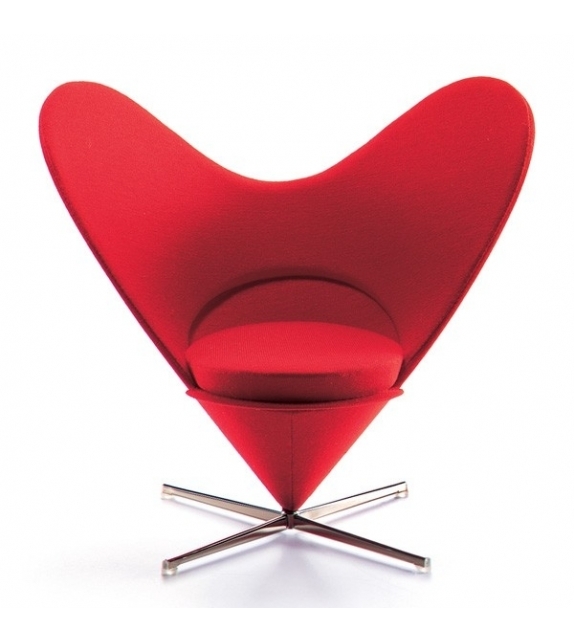 Vitra Miniature Heart Shaped Cone chair, Panton: In the thirties and forties, Scandinavian design followed the principles of functionalism: simple structures, clear lines, a lightweight visual appearance. 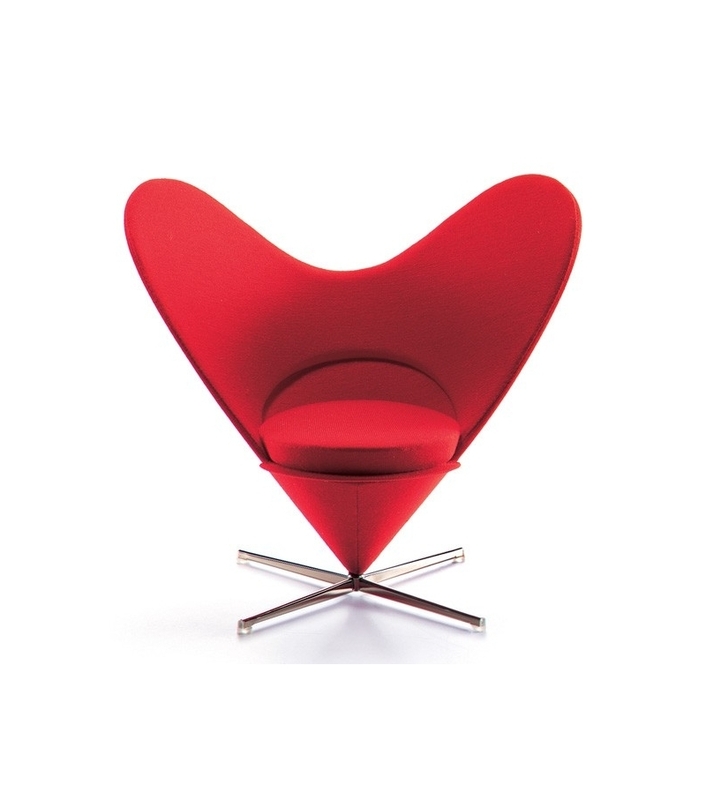 Vitra Miniature Heart Shaped Cone chair, Panton: In the thirties and forties, Scandinavian design followed the principles of functionalism: simple structures, clear lines, a lightweight visual appearance. The desire for austerity of form was combined with a preference for wood as a natural material. It was not until the fifties that young designers like Verner Panton began to use the formal possibilities created by innovative technologies in order toliberate furniture from the constraints of tradition. Verner Panton wrote of his works: »I try to forget existing examples, even if they are well made, and find my own way of coming to terms with thematerials. 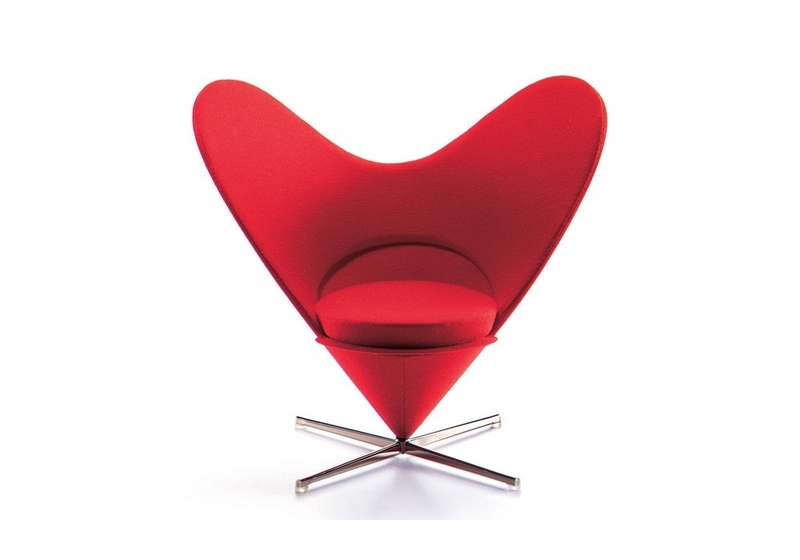 The result seldom has four legs, not because I do not want to make a chair but because working with new materials like wire mesh and polyester demands new forms.« The Heart Shaped Cone Chair embodies the transformation that took place in Scandinavian design in the late fifties. The purist furniture of lassical modernism was now joined by sculptural forms inspired by the new technologies. At the same time, the shape and color of the Cone Chair anticipate the »PopArt« furniture of the sixties. Sheet steel, red fabric. Made in Poland.